If you enjoy Russian ballet, then you’ll want to be sure to check out the upcoming performance of Giselle at the Livermore Valley Performing Arts Center. On Feb. 7 at 7:30 p.m., the extraordinary dancers of the Russian National Ballet Theatre stage their acclaimed production of this beloved classic which preserves the timeless beauty of the Russian ballet tradition. Giselle was first performed in Paris in 1841 and quickly rose to popularity. It was especially popular among audiences in Russia where it has consistently remained in repertory. The ballet tells the story of a peasant girl named Giselle, who dies of a broken heart after discovering her lover is betrothed to another. Giselle is summoned from her grave by the “Wilis” a group of ghostly women who, having been betrayed in love, dance men to death each moonlit night. The Queen of the Wilis commands Giselle to dance her former lover to death, but she instead uses her love to protect him. The story begins with Duke Albrecht, a young nobleman, who falls in love with a beautiful peasant girl, Giselle. Albrecht disguises himself as a humble villager named Loys and, hiding his fine attire and his sword, romances Giselle as the village harvest festivities begin. However, Albrecht is actually engaged to Bathilde, a Countess in the royal court. A local gamekeeper named Hilarion, who is also in love with Giselle, tries to convince her that Albrecht/Loys can’t be trusted. Giselle’s mother Berthe warns her of the curse of the Wilis, girls who have been unlucky in love and died before they were married. Giselle ignores both Hilarion and her mother and dances off to enjoy the harvest celebration. A royal hunting party approaches the village and Albrecht hides. When the villagers come forward to welcome them, Bathilde singles out Giselle for attention. Giselle offers them drinks and dances for them, enchanting Bathilde who gives Giselle a pretty necklace. Hilarion, however, has found the finely-made sword and horn Albrecht has hidden. He reveals the items to the royal party, forcing Albrecht forward. His identity revealed, Albrecht acknowledges Bathilde as his betrothed. Giselle is inconsolable at the news and, taking Albrecht’s sword, chooses to die rather than live without him. The Wilis, ghostly spirits of maidens betrayed by their lovers, dance in the moonlight around Giselle’s new grave. Led by their merciless queen Myrtha, they haunt the forest at night seeking revenge on any man they encounter. They forcing their victims to dance until they die of exhaustion. They rouse Giselle’s spirit from her grave and induct Giselle into the group. When Albrecht returns to her grave with flowers in hand, he finds Giselle’s spirit and begs for forgiveness, following her into the forest. The remaining Wilis discover Hilarion who has also brought flowers to Giselle’s grave. They force him to dance until he’s exhausted and he falls into the lake and drowns. When the Wilis discover Albrecht and begin to force him to dance, Giselle uses her love to protect him until the sun rises. His safety assured, Giselle bids Albrecht a tender farewell before joining the Wilis. Albrecht collapses on her grave to mourn her loss. 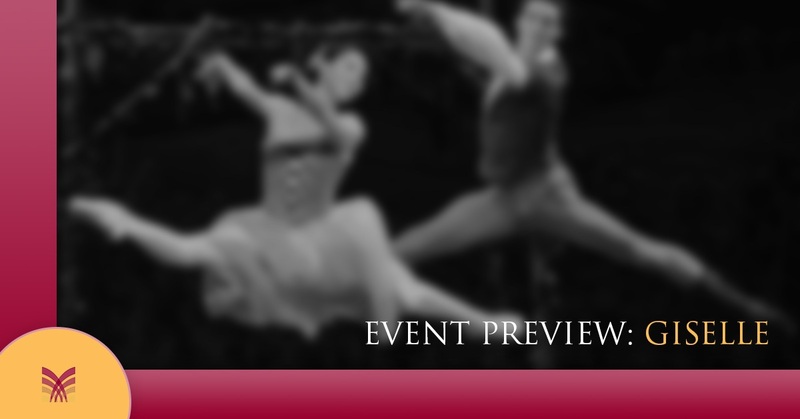 If you are interested in seeing this classic ballet live, visit the event page on our event calendar. Explore the performing arts in Livermore with live music, opera, plays and more.